Café Alejo, also known as The Boathouse Cafe, aims to honor the park's history and change perceptions. 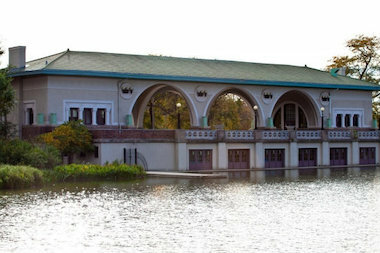 HUMBOLDT PARK — The boathouse at Humboldt Park will become home to a new restaurant when Café Alejo sets up shop there this spring, its owner said Wednesday. The café, 1302 N. Sacramento Ave., is a longtime dream of Erica Serrano, who got the idea to try to locate in the city landmark with the help of her father while training for a marathon in the park in 2010. Café Alejo, otherwise known as The Boathouse Cafe, will celebrate the life and legacy of Alexander von Humboldt, the park’s namesake, Serrano said. “The idea is that we could bring to life who Alexander von Humboldt was,” she said. Von Humboldt was a European explorer, naturalist and originator of plant geography, a legacy close to Serrano's heart since her days as a biology major, she said. The restaurant will feature a nautical and nature-themed interior, although exact plans are still in the works. Serrano, a Humboldt Park native, said the restaurant will also celebrate her heritage, which is shared by many residents of the neighborhood. “It’s important to me, especially as a Puerto Rican Latina, that we change the perception of Humboldt Park — I really think that we could with the space there,” she said. The 3,300-square-foot space will seat 30 people inside and 130 people on an outside patio, which will also host live music events Serrano said. That's in addition to plans for cooking classes and partnerships with local schools. Café Alejo will serve a variety of menu items, including bistro-style sandwiches, coffee, salads and dinner plates with a Latin flavor. The restaurant will serve alcohol, including beer and wine, but operators will also focus on healthy food as an alternative to food trucks that are already operating in the park, Serrano said. Look for a soft opening of the café this spring — in March or April, she said — when Cafe Alejo joins more than 200 Chicago Park District concessionaires operating in parks throughout the city.